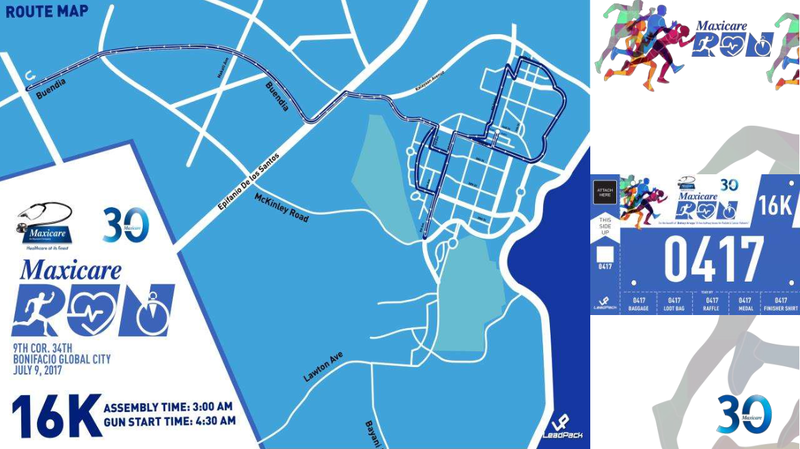 Lately, “in” ngayon ang mga foot races which takes runners to different places in the country and at times, out of it. Kasi naman, malaking bagay din ang diversity sa pagtakbo. One, you get to take-in a whole new sight while running (bawas boredom lalo na pag long run!) and then at times, you also get to enjoy a much needed respite, especially if the race venue is out of town – away from the bustling metropolis, ika nga! 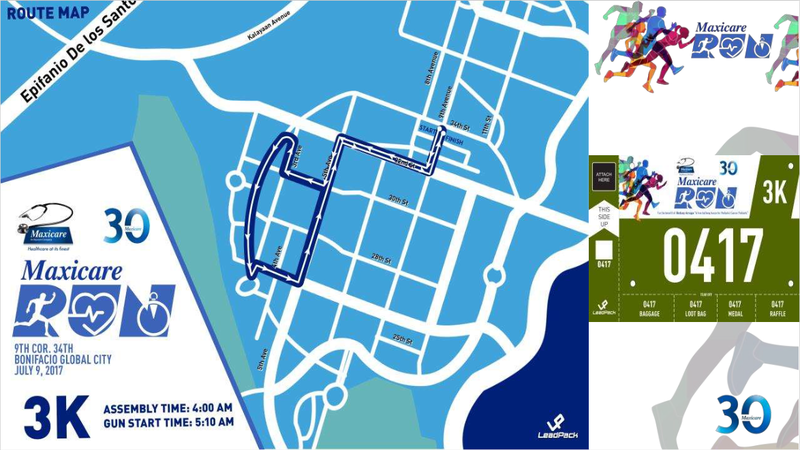 If ganyan ang hanap mo sa mga runs mo ngayon, then RunRio has one such race for you! 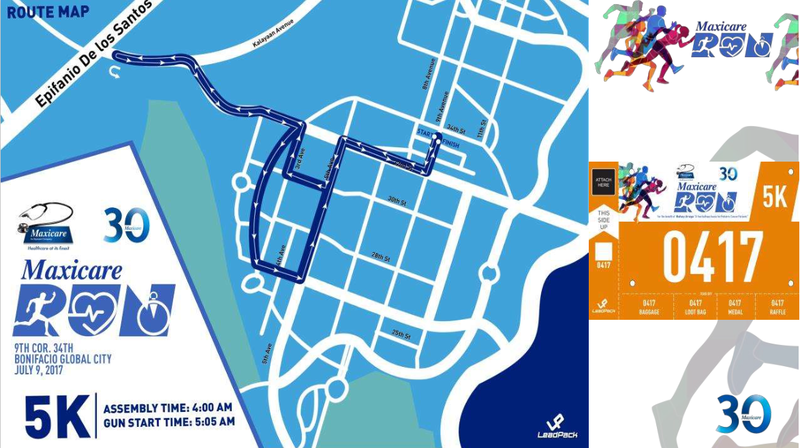 It’s the Siargao International Marathon! Ang Siargao, sabi ni Wikipedia, “is a tear-drop shaped island in the Philippine Sea situated 800 kilometers southeast of Manila in the province of Surigao del Norte.”. Ako pag na-mention ang Siargao, ang naiisip ko white, sandy beaches and crystal clears waters na patok mag-surfing! 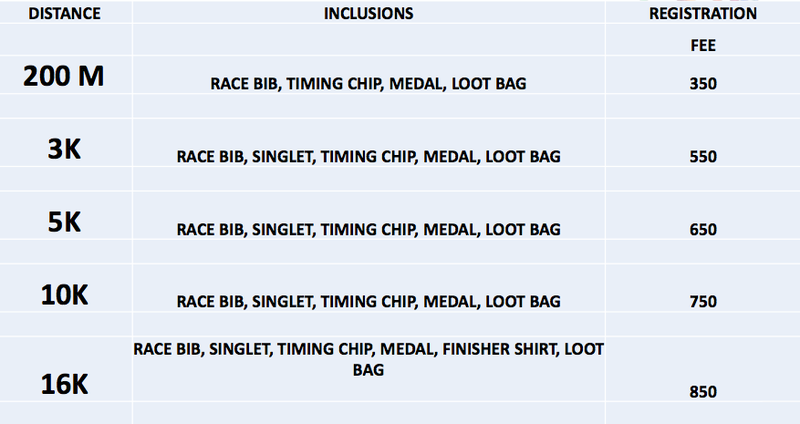 So yun na nga, kung ang trip mo lately ay to “commune with nature” while running and then mag-time out din for a few days after, then maybe the Siargao International Marathon might be the perfect “racecation” for you. O pano, tara racecation? Sayo race, akin yun vacation? Haha, cheers! Premium lifestyle accessory brand Moshi finally in Manila! I have been using Moshi iPhone cases ever since I came upon this brand and I can say that the brand brings a bang for the bucks! 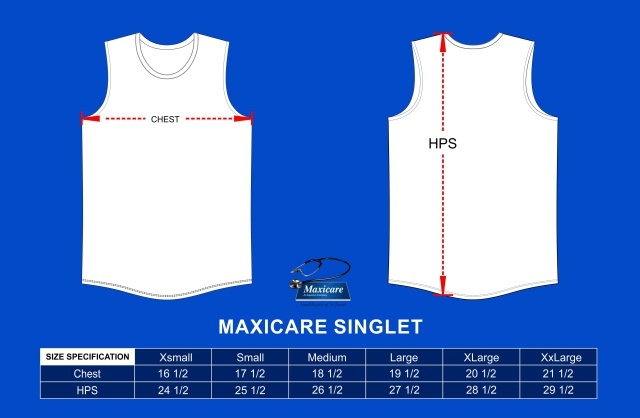 It’s sleek and simple but is truly reliable. You can just imagine the joy I felt when I learned that Moshi is finally having their very own concept store here in Manila and will not just offer awesome mobile phone cases but a slew of premium lifestyle accessories and items as well! Get to know more about it from the below press release. Enhancing the mobile lifestyle with its wide portfolio of premium accessories, global lifestyle brand Moshi officially launches its first concept store in Manila. Filipinos can now have full access to the complete range of Moshi products from phone accessories, bags and travel gears, to mobile electronics – all with design and function at the core of its unique product experience. Primarily known for its well-crafted iPhone, iPad, and Mac accessories, Moshi has now grown to being more than just a case maker, and makes a strong case as the next lifestyle brand to watch out for. Since 2010, Moshi has been available in the top Apple retailers in the Philippines. But given the strong following and loyalty it has gained from the market, the brand sees it fitting to make its stylish homecoming in Manila official. With its product category now ranging to audio, bags, active and travel categories, it showcases its evolution and versatility. Whether you want to go to work, squeeze in a workout, or just simply want products that would fit perfectly into your day to day activities—Moshi has the product for it. This seamless integration of your personal style with your gadgets is what the Moshi Life is all about—a premium life, whether at work or play. “It has been a big and amazing year for Moshi Philippines and we are just getting started. We are opening our very first concept store outside of our headquarters and we thought Manila was the best place for it. Guided by our core of making beautifully-designed, smart and premium products, we aspire to become a household name here in the Philippines,” said Patricia Serrano, Business Development Manager of Moshi. The press launch was held last April 18 at the Fundamental Coffee, Makati City. Gracing the event were select members of the press and social media influencers. Moshi is set to open its first concept store in SM North EDSA. For updates and more information, visit www.moshi.com, facebook.com/MoshiPhilippines. 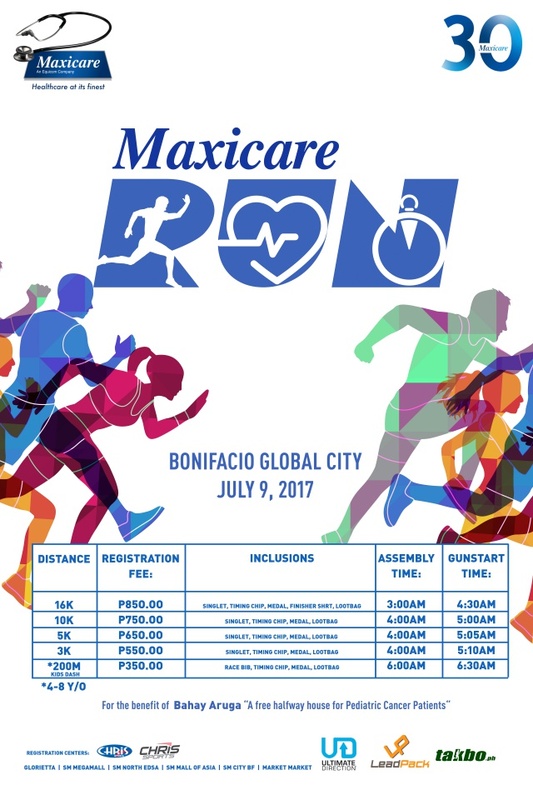 Maxicare, on its 30th year of providing the finest healthcare in the Philippines, will be holding their very own run race on July 9, 2017 at the BGC. 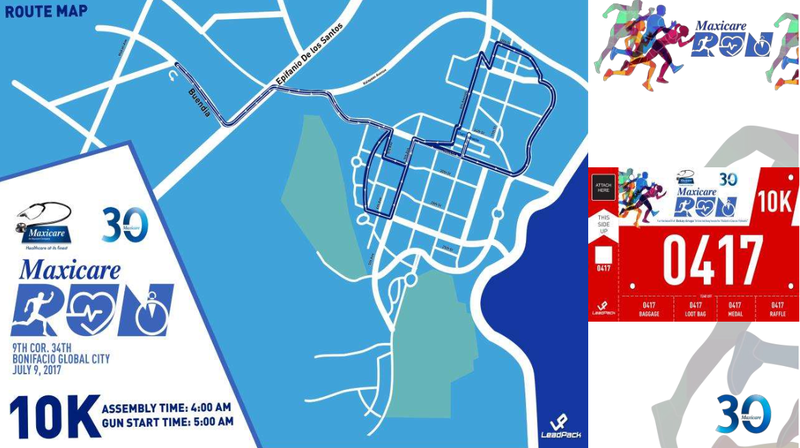 Catering to both experienced and beginning runners, the race is poised to be the last foot race that will ever be organized in the BGC area. 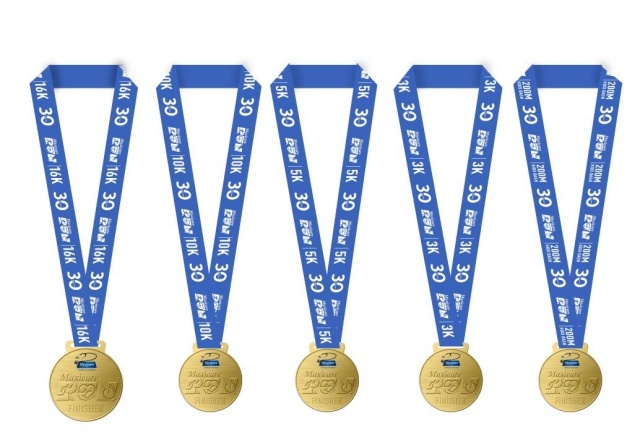 As a treat, all finishers will feel like a winner as they will all receive a medal. 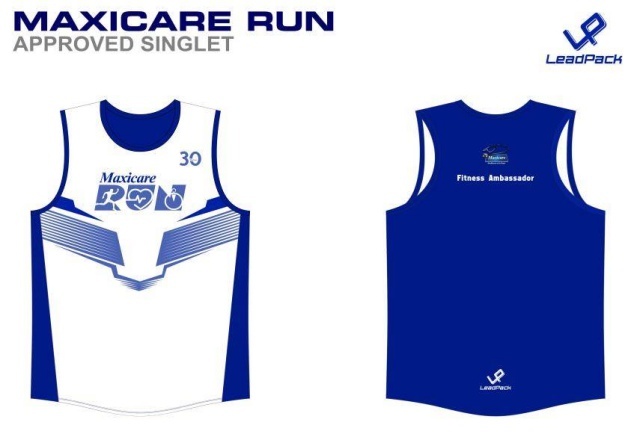 There will also be an extensive “Wellness Village” where the runners and their families and friends can dine, relax and enjoy activities that Maxicare’s partner brands have prepared. 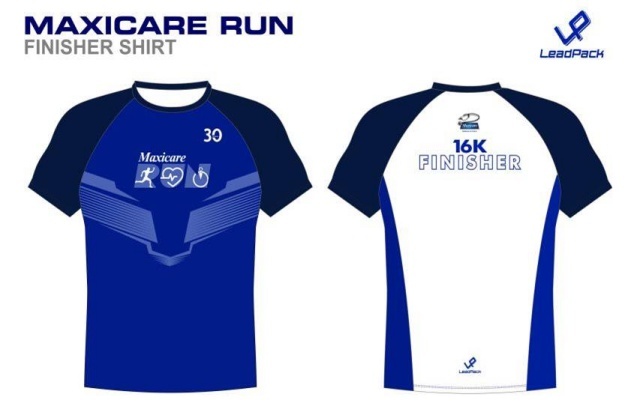 Through this run whose beneficiary will be Bahay Aruga, a free halfway house for Pediatric Cancer Patients, Maxicare wants to offer the complete experience of advocacy, athleticism and celebration. University of Cebu is Under Armour 3×3 Champion! The very first Under Armour 3×3 competition in the Philippines is now dusted and settled with the University of Cebu emerging as the Champion of the tournament. The Cebuano team, showing skills and determination, beat the Manila-based team Bounty A, 21-20, in the championship game of the Under Armour Under-18 3×3 Southeast Asia Philippines finals at the Titan Love Court, Bonifacio High Street in Taguig City. UC’s Jone Bryl Cuyos, Allen Pelegrino, John Bautista, and Virlou Orquez overcame the Bounty A team of Rhayyan Amsali, Harvey Pagsanjan, Winderlich Coyoca, and Russel Bagauisan in the finals to gain a chance at securing a slot in the Philippine team for the FIBA Asia U18 3×3 Championship in Cyberjaya, Malaysia. The second runner-up honors went to Bounty B, a team composed of Ernest John Felicida, Michael Malonzo, Andrew Velasco, and Alex Visser, while the third runner-up went to Escuela de Sophia of Neil Joshua Moralejo, Earl Zymon Yu, Adrian James de Jesus, and Marvin Reforsado. During the same weekend, Under Armour also held the Manila leg of the 3×3 event in which Bounty B team of Felicida, Malonzo, Velasco, and Visser winning the title over Bounty A of Amsali, Pagsanjan, Coyoca, and Bagauisan. The Bounty B team is composed of players from National University and Ateneo de Cebu as they took home the Manila leg of the competition. The Manila leg second runner-up honors went to Escuela de Sophia where the team of Moralejo, Yu, De Jesus, and Reforsado also putting on a respectable showing. Take Advantage of Superstar Virgo in Manila’s Last Blast for May! Superstar Virgo offers amazing deals this May as an awesome way of capping off their Manila deployment! Read the below official release and check out the posters for more details! Cheers! SUPERSTAR VIRGO IN MANILA’S LAST BLAST FOR MAY! 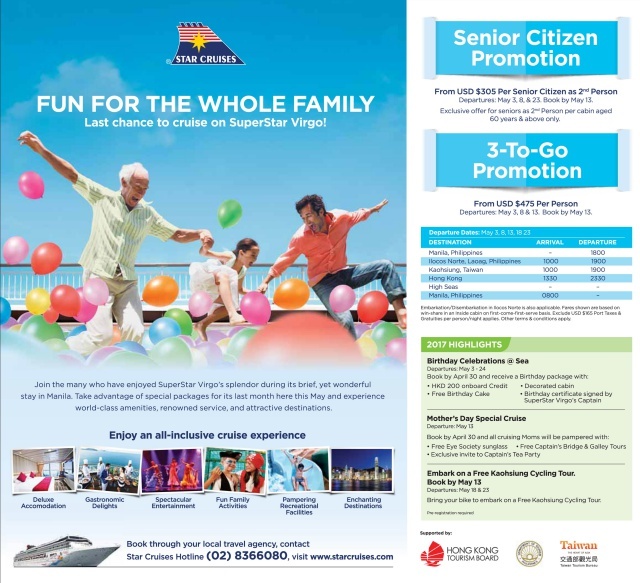 Great offers perfect for the family await as SuperStar Virgo features exclusive May deals led by Senior Citizens at 70% off and 3-To-Go promotions as it caps off its deployment in Manila with a bang! 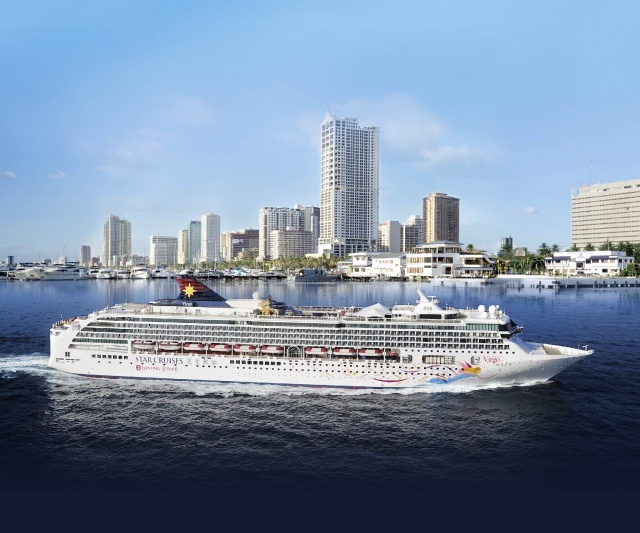 Cruise through the ever-attractive 6 Day/5 Night cruises departing from Manila, sailing to romantic Laoag, charming Kaohsiung, and the shopping Mecca that is Hong Kong and bring-along your lolo or lola and avail of 70% off for Senior Citizens, exclusive for May 3, 8, and 23 departures. Promotion is exclusive for guests counted as 2nd person for 60 years old and above, as low as USD $305! Go to any local travel agency to book these promos and don’t let summer pass without capping it off with an amazing adventure onboard SuperStar Virgo in Manila!